If You Have Immigration Issues, Grant Bettencourt Can Help You Find the Right Solution. You should hire an immigration attorney if you want the best chance to obtain legal residency. Preparing the correct paperwork and following the proper procedure will help reach your goals. Getting professional help is the first and best step you can take. If you need an immigration lawyer, you must choose a law firm that specializes in immigration law. Hiring a professional immigration lawyer at The Law Offices of Grant Bettencourt is the most important step in the process enabling you become a lawful permanent resident or US citizen. YOU NEED HELP TO LEGALLY LIVE AND WORK IN THE U.S. YOUR CHILDREN NEED HELP TO LEGALLY GO TO SCHOOL IN THE U.S.
To be successful in any legal situation involving immigration, it is important to have a personal attorney-client, confidential relationship based heavily on trust. Individuals, businesses, and families all deserve an attorney they can rely on who has the necessary skills, experience, and personal integrity that is required to be successful. 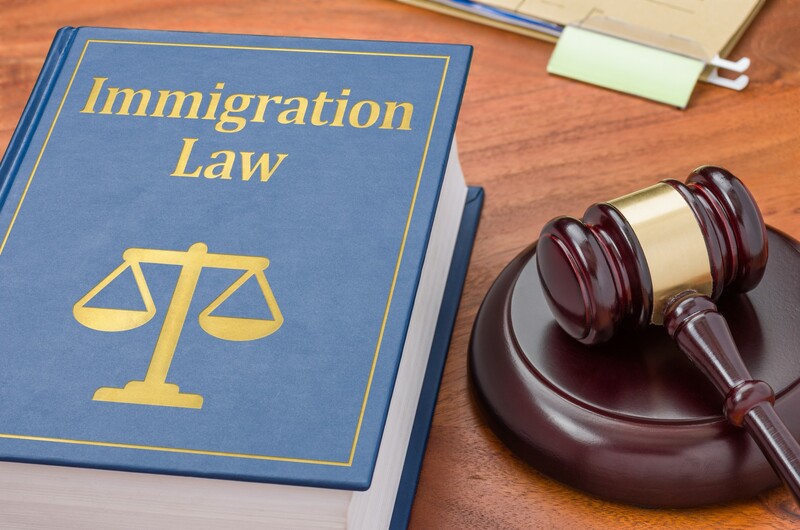 We have experience in a broad array of immigration cases ranging from helping individuals who wish to achieve the American Dream and live and work lawfully in the United States, all the way up to assisting large multinational corporations through the immigration process. The Law Offices of Grant Bettencourt is dedicated to serving the unique immigration needs of every client. All business owners, potential employees, and families we represent are given the same individualized attention and care regardless of their current immigration status or their legal goals. We understand that no two cases are the same, so we approach each case as if it is our only case by creating a personalized legal strategy for each client to help them achieve their individualized, legal goals. Employment Based Immigration– Employment-Based Green Card and PERM, B-1 Visa for Business Visitors, O-1 Extraordinary Ability or Achievement Visas, and H-1B Specialty Occupation Workers. Contact us by phone (925) 788-7178 or request a consultation below to get immediate help with your immigration case. Call or fill out the consultation form 24 hours a day, 7 days a week. If you have immediate family members living in the U.S., it may be possible for them to help you immigrate (become a lawful permanent resident, obtain a “green car”). The closer the relative is to you, the more likely you are to be successful. The law offices of Grant Bettencourt has extensive experience with family based immigration cases and can greatly increase your chances of success. Obtaining qualified legal counsel will help you determine the best way to approach your attempt at becoming a lawful permanent resident. We can evaluate your relationships with green card holders and U.S. citizens in order make the process as easy and fast as possible. Your relationship with a U.S. citizen or lawful permanent resident is the most important aspect of your application. U.S. citizens are able to bring more distant relatives into the U.S. than lawful. permanent residents can; so parents, brothers, and sisters will all be able to more easily immigrate if their relative is a U.S. citizen. It is not possible in almost any case to be able to go from having no citizenship status to being an U.S. citizen. 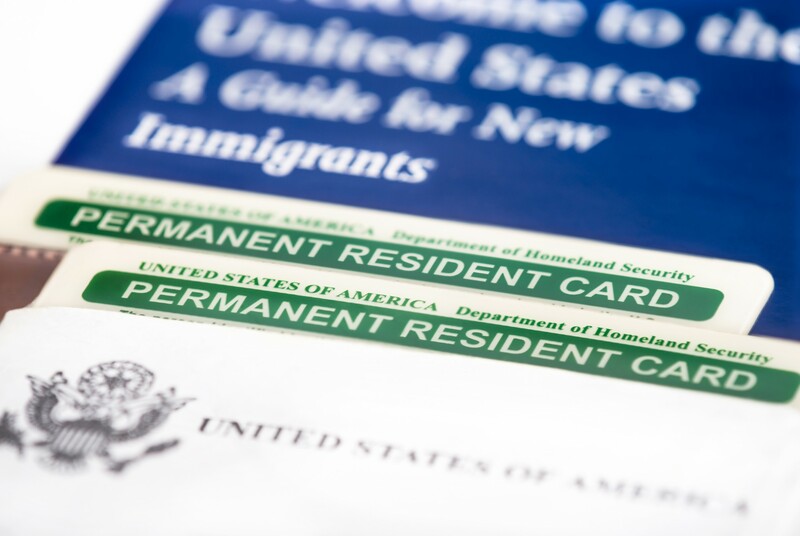 You must hold a green card before you are able to immediately become a U.S. citizen. The only exception to this is when your parents are U.S .citizens, and even then the instances of this being possible are limited. 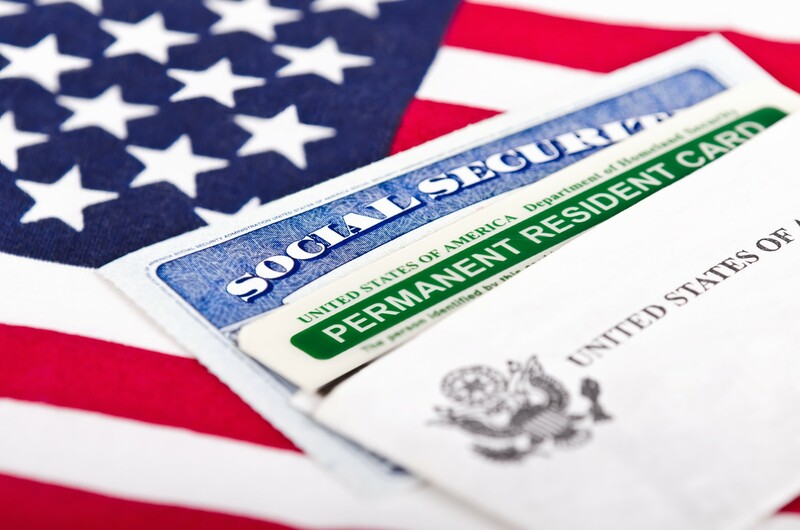 AS WITH ANY TYPE OF GREEN CARD IT CAN BE REVOKED IF THE PROPER PROCEDURES AREN’T FOLLOWED. YOUR PRIMARY HOME MUST BE INSIDE OF THE UNITED STATES, YOU CANNOT COMMIT A CRIME, AND YOU MUST KEEP YOUR ADDRESS CURRENT WITH IMMIGRATION AUTHORITIES. AFTER 5 YEARS (OR 3 IF YOU ARE MARRIED AND LIVING WITH A US CITIZEN) YOU MAY APPLY FOR US CITIZENSHIP. Who is an immediate relative? Being an immediate relative is the best case scenario for immigration hopefuls. There are no limits on the number of immediate relatives that may immigrate to the US, so there is no annual limit or quota that may affect the waiting period for a green card. YOU ARE A SPOUSE OF A UNITED STATES CITIZEN. THIS NOT ONLY INCLUDES COUPLES WHO ARE MARRIED (THE LOCATION OF THE MARRIAGE MAKES NO DIFFERENCE), AND WIDOWS/WIDOWERS OF CITIZENS WHO WERE MARRIED FOR NO LESS THAN TWO YEARS AND ARE APPLYING LESS THAN TWO YEARS AFTER THEIR SPOUSE’S DEATH. Step parents and children also may qualify as an immediate relative if the marriage that created the relationship occurred before the child’s 18th birthday. Adopted children and their parents may also qualify as immediate relatives. Who is a preference relative? Preference relative status is another legal avenue to obtaining permanent legal residency but it is not as fast as being an immediate family member. This method is subject to the quotas and waiting lists unlike being an immediate relative. You may need to wait years before receiving your green card. FAMILY SECOND PREFERENCE – THIS CATEGORY IS DIVIDED INTO TWO MORE SPECIFIC SUBCATEGORIES. 2A AND 2B. SPOUSES AND UNMARRIED CHILDREN (UNDER 21) OF PERMANENT LEGAL RESIDENTS (GREEN CARD HOLDERS) ARE IN THE 2A CATEGORY. THE 2B CATEGORY INCLUDES UNMARRIED CHILDREN OF PERMANENT LEGAL RESIDENTS WHO ARE OVER 21. FAMILY THIRD PREFERENCE – CHILDREN OF A US CITIZEN WHO ARE MARRIED, ANY AGE. FAMILY FOURTH PREFERENCE – SIBLINGS OF A US CITIZEN WHEN THE US CITIZEN IS OVER 21. What is an accompanying relative? 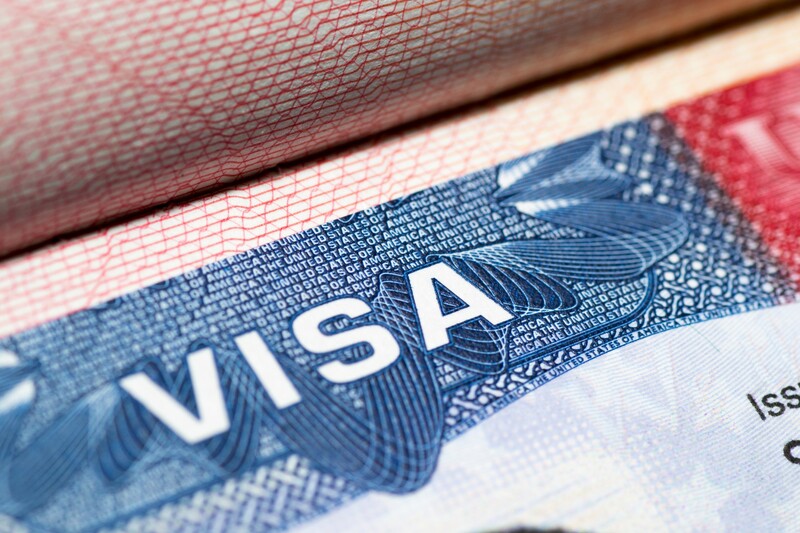 When a citizen or resident submits a visa petition for a relative born in another country, that relative’s spouse and unmarried children under 21 will automatically be included on the application and therefor, in the immigration process (unless requested otherwise) as a derivative beneficiary. The petitioner (US citizen or resident) only has to list them on the visa petition (I-130) to start the process for the derivative beneficiaries. They will eventually need to submit their own applications for a visa or green card. FAMILY FIRST PREFERENCE – WHEN A U.S. CITIZEN PETITIONS FOR AN UNMARRIED CHILD AGE 21 YEARS OLD OR OLDER. FAMILY SECOND PREFERENCE – WHEN A PERMANENT RESIDENT PETITIONS FOR A SPOUSE OR UNMARRIED CHILD UNDER 21. FAMILY THIRD PREFERENCE – WHEN A U.S. CITIZEN PETITIONS FOR A CHILD WHO IS MARRIED. FAMILY FOURTH PREFERENCE – WHEN A U.S. CITIZEN OVER 21 IS PETITIONING FOR A SIBLING. This benefit does not apply for immediate relatives. US citizens petitioning for an immediate relative (spouse), a separate petition will need to be submitted for children who are not immediate relatives of the petitioner (step children). More and more non-citizens legally living in the United States are finding themselves facing deportation from the country for committing seemingly minor crimes with no avenue for relief in immigration court. The reason more non-citizens are being threatened with deportation without any recourse in immigration court is because over the years waivers and relief from deportation have been greatly reduced, while the scope of crimes constituting deportable offenses has been greatly increased. Perhaps most damaging is the significant increase in the number of crimes that now constitute “aggravated felonies” under federal immigration law and which require virtually mandatory deportation. However, there is hope for non-citizens who seemingly have no defenses to deportation in immigration court and that hope lies in going back to the beginning and attacking the underlying criminal conviction that triggered deportation in the first place. Many non-citizens can fight their deportation from the United States by filing a Writ of Habeas Corpus attacking the constitutionality of their conviction. A Writ of Habeas Corpus is what is known as an “extreme writ” and is the appropriate vehicle for relief in instances where the non-citizen claims their conviction is invalid because they received “ineffective assistance of counsel” from their criminal trial attorney. Habeas Corpus is often the appropriate method to challenge a conviction on ineffective assistance of counsel grounds because supporting facts for these types of claims often lie outside the record of the court and therefore could not be considered in a standard appeal. A Writ of Habeas Corpus can even be brought long after the time for appeal has passed because habeas claims need only be made within a reasonable time after the individual should reasonably have known they suffered constitutional injury. In order to bring a successful habeas claim, there are generally several key elements that are required. First, a habeas claim must be timely, meaning that the claim must be brought within a reasonable time from the point when the individual reasonably should have known they suffered a constitutional injury. Second, the individual must be under either the physical custody of the jurisdiction where he is filing the habeas claim, meaning he must still be physically incarcerated in jail or prison at the time his habeas petition is filed, or the individual must be under the constructive custody of the jurisdiction in which his habeas claim is filed, meaning that he is on parole, probation, or in some other fashion has his liberty curtailed. It is important to note that being physically or constructively confined by immigration authorities for purposes of deportation because of a criminal conviction does not constitute physical or constructive “custody” for purposes of habeas jurisdiction. An individual must still be in the custody of the jurisdiction that issued the criminal conviction in order for the courts of that jurisdiction to have the ability to hear the habeas claims. Third, the individual bringing the habeas petition must have suffered a recognizable constitutional injury such as ineffective assistance of counsel. Finally, the individual must have suffered some kind of “prejudice” as a result of the constitutional injury, meaning generally that the result of their case would have been different if the constitutional injury didn’t occur. An example of one such habeas claim that can prove successful for non-citizens seeking to reverse their criminal conviction for purposes of fighting deportation is the claim that their criminal trial attorney never advised them of the immigration consequences of their guilty plea or that their counsel gave them affirmatively misleading information concerning the immigration consequences of their plea. This type of claim was highlighted in the landmark United States Supreme Court case Padilla v. Kentucky (2010) 130 S. Ct. 1473. In Padilla, the U.S. Supreme Court held that trial counsel has a constitutional duty to research the immigration consequences of a guilty plea for a non-citizen client and to accurately and thoroughly advise the non-citizen client of what those consequences will be before pleading guilty. California courts had long held, and the U.S. Supreme Court now holds after Padilla, that immigration advisements contained in guilty plea forms or given by the trial judge in open court during the time the plea is being taken are simply not enough to overcome an ineffective or non-existent advisement given by trial counsel. Non-citizens facing deportation from the country without any defenses in immigration court often finds themselves in this frightening position because their criminal trial attorney advised them to plead guilty to a seemingly harmless misdemeanor in state court that actually constitutes an “aggravated felony” under immigration law and requires mandatory deportation. One such example can be seen where a non-citizen defendant pleads guilty to a violation of California Health & Safety Code section 11366, opening or maintaining any place for the purposes of unlawfully selling, giving away, or using any controlled substance. Under California State law, a violation of section 11366 may only constitute a misdemeanor for which a non-citizen defendant might receive informal probation. This seemingly innocuous misdemeanor crime actually categorically constitutes an “aggravated felony” for purposes of federal immigration law requiring mandatory deportation according to the 9th Circuit case of Salviejo-Fernandez v. Gonzales (2006) 455 F. 3d 1063. If a criminal defense attorney was ignorant of federal immigration law and did not take the time to properly conduct research, they might never know, and therefore might never advise their client, that pleading guilty to a violation of Health & Safety Code section 11366 would eventually require them to be deported from the country. Thus, filing a Writ of Habeas Corpus to reverse the criminal conviction would be a good option for a non-citizen who was not advised of the severe immigration consequences in this type of situation. For non-citizens facing the risk of deportation, especially those accused of aggravated felonies, it can be a very stressful and frightening time. Even when it seems that all hope is lost, there still may be a way to defend against deportation. If you or a loved one is facing deportation from the country, call the Law Offices of Grant Bettencourt at (925) 788-7178 today for a free consultation or fill out the form online and Grant will call you within 24 hours or less.